Hi and welcome to WL Marketing! We are a Dallas based company with offices in India and China and around 200 people in total. In 2007, we managed a portfolio of web properties and wanted to increase their value through SEO. Each provider not proving the exact services you want, so you have to search for different marketing companies. Having to follow up with a host of small, independent providers. Not remembering which SEO you've done on which website(s). Providers taking the money and not performing the service. Providers not really understanding SEO and more interested in short term gain. Tracking - A website that tracks the progress of your orders and informs you about their status every step of the way. Keep track of the status of your promotions and their effectiveness on each of your websites. Fast Customer Service - We strive to respond to all your questions within 12 hours. Usually you'll get an email back within minutes if it's during the day! Informative Knowledge - Since we have our own group of websites, we are constantly testing out our own methodologies so we always know what we're talking about - from experience. 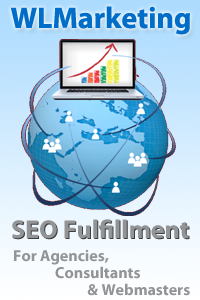 Good SEO Results - Many of our customers have been with us for a long time and love the results we get them. We want to make sure that you are getting good value for your advertising dollar. Flexibility - If we're not currently doing it, we can always accomodate your special request. Just let us know what you need and we'll look into it right away for you! Fast Turnaround - Your campaign is precise and it needs to be done right away, and we'll sure to do our best to get there before your competition. Orders are generally completed within 3 days, so you can focus on running your business rather than worrying about whether your SEO is getting done. Thanks for checking us out and please don't hesitate to let us know if you have any questions!